If you love all things allotment and are interested in their history then this could be just the thing. 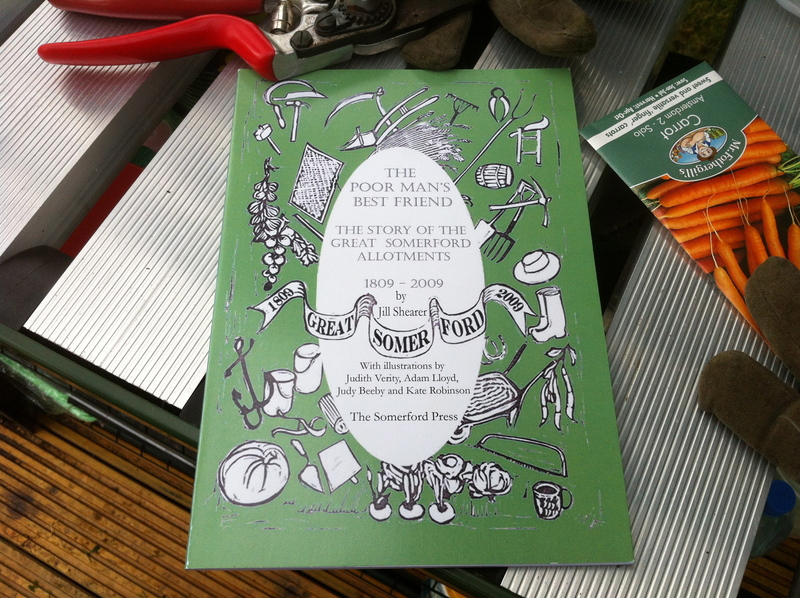 It is the story of Great Somerford Allotments, thought to be the oldest cultivated site in this country, as told by Jill Shearer, it includes a healthy dose of month by month gardening advice and ‘what to do now’ lists as well as pieces written by todays’ plot holders. A charming and interesting way to spend an afternoon. Great Somerford is located in Dauntsey Vale Wiltshire. All proceeds from the sale of the book go to Great Somerford Free Gardens Trust which funds village community projects. It is privately published by The Somerford Press and is available by mail order from Waterstones here or alternatively the ISBN number is 9780956180605 if you would rather order from your local bookshop. It’s well worth it. They also open the village and allotments as part of the NGS. One for next year’s diary.